Our homestays emphasis on customer satisfaction. With a warm and friendly services to all of our customers, we offer a clean, affordable and distinctive style of family residential accommodation. Also suit for tourists who plan to visit Kota Bharu ,Kelantan where many beautiful beaches such as Pantai Cahaya Bulan is just 15-20 minutes away by car. Sabak beach is also considered near and only take 20 minutes driving. We are located in town center, the most strategic place to stay where everything is nearby such as restaurant, airport, hypermarket, university and student colleges. Siti Khadijah market is also located nearby which take 15 minutes to drive. 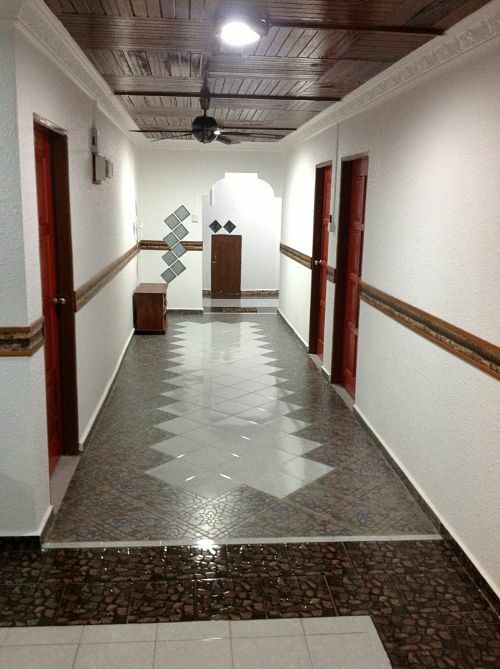 The house has 3 bedrooms with air conditioning and fully furnished. Our Homestays have recently upgraded to suit the customer needs and satisfactions. With a big living and dining hall relatively, make this house a nice place for gathering and spend time with family and relatives. Also suits for those who travel with friends and plan to have a short stay in Kota Bharu . We also have package for out stationed customers who plans to bring their family with reasonable charge. Enjoy RM170 per night for a week stay. This is a chance to experience a nice stay lifestyle at reasonable price. 1. The most important thing we want to have is customer satisfaction because we want to have a long term customer relation ship. 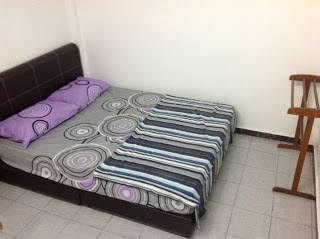 Therefore room cleanliness and friendly service is our priority. Please feel free to ask or request anything and we will try our best to fulfil your needs. 2. We have the competitive price for SriKota Homestay. You can compare the price with other accommodations and we are assure that customers will come back and stay at our comfortable accommodation. 3. The location of the house is very strategic. 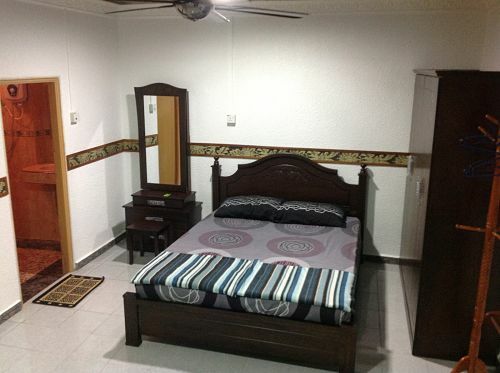 Only 4 km to town centre, 15 km to airport and 20 km to University of Malaysia, Kelantan. 4. We provide a decent homestays which focuses on high quality accommodation facilities such as expensive mattresses and suitable furniture. SriKota Homestay offers very competitive rate among other guesthouses in Kota Bharu, Kelantan We have special rate for those who plan to stay for a long time. During school holiday, the price is also reasonable and affordable for family who plan to have vacation in Kota Bharu KB. Our homestay is normally fully booked during school holidays because we offer excellent service and comfortable accommodation. Thank you to our customers who continuously give their supports by staying with us. To Enjoy RM170 per night, guest need to stay for at least seven days. This promotion does not applicable during school holiday. This package suits for person who come to Kota Bharu, Kelantan for outstation and wants to bring their family with them. While working, your family can have very safe and comfortable housing area with loads of restaurant nearby. Stay with us and save your money with this unbelievable rate. 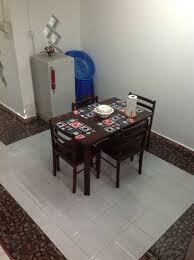 SriKota Homestay is pretty much situated in a residential area. 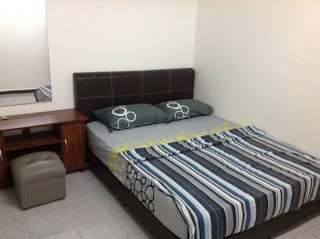 We have nice bed and furniture that will make you come again. Before make a reservation, kindly refer our booking calendar. Choose the right date for you and family. Book early to avoid disappointment. All bookings are only considered as we receive a RM50 deposit for each day booked. Customers are recommended to pay via bank transfer either using online banking or cash deposit machine. Our homestays have recently upgraded to suit the customer needs and satisfactions. With a big living and dining hall relatively, make this house a nice place for gathering and spend time with family and relatives. Also suits for those who travel with friends and plan to have a short stay in Kota Bharu, Kelantan. We also have package for out stationed customers who plans to bring their family with reasonable charge. Enjoy RM170 per night for a week stay. This is a chance to experience a nice stay lifestyle at reasonable price. 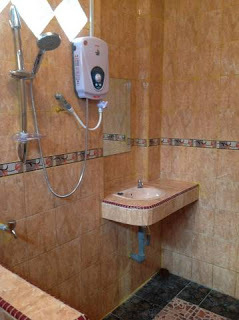 We provide everything that are common for guesthouse and some items are even better than the things provided by hotels. 10. Set of teapot, plates and saucers. 1. How many people can accommodate at Alif / Ashraf / Aqil & Alia Homestay? 2. Does SriKota Homestay provide airport transfer? 3. 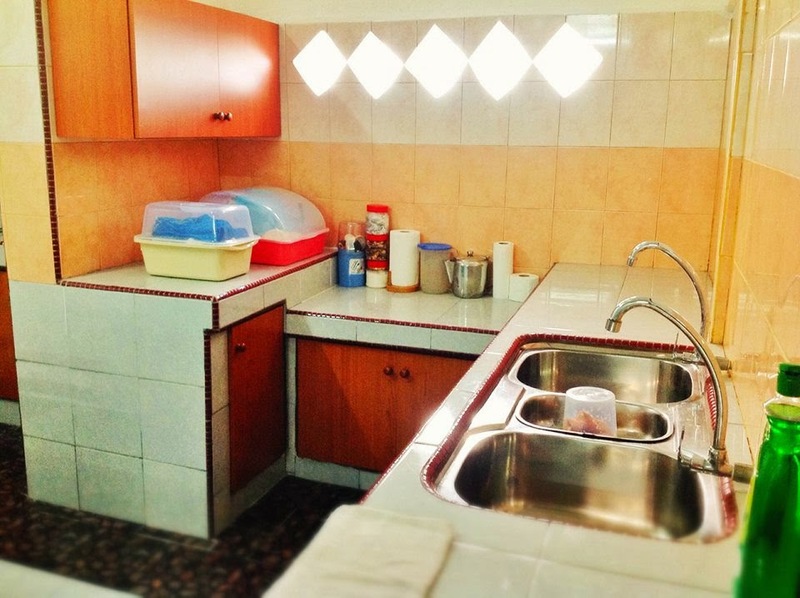 What are the facilities that SriKota Homestay provide? Booking can be made via online or by phone call ( Mr. Ray 013=9385286 ), all bookings are only valid by confirmation from us. 5. What is the check in and check out time? Is there any late check out service? 6. How to make payment to SriKota Homestay? 7. Do you provide breakfast? We are strategically located onsite for foreign guests wishing to explore all corners of the city of Kota Bharu. It is situated near Wakaf Che Yeh . Visitors to Kota Bharu from Kuala Trengganu - Jerteh - Pasir Puteh, you will enter through Melor , Ketereh, Kadok, Mulong, Wakaf Che Yeh. While for those coming from Kuala Krai - Machang - Kok Lanas will come through Bunut Payung. People from Penang, Kedah, Perlis and Perak will enter East - West Grik Highway via Tanah Merah to Wakaf Che Yeh.